The paper presents the history of the origination and development of A.I. Morozov’s idea of plasma-optical mass separation (POMS-E). The problems that arose in the initial stage of its practical implementation are noted. Changes in Morozov’s POMS-E scheme of the collectors of separated ions and the system for the formation of neutralized ion beams are described. 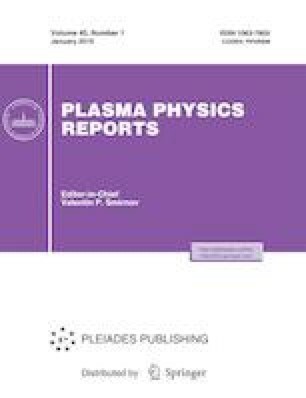 Accompanying plasma effects leading to the generation of ions with energies exceeding the energies equivalent to the discharge voltage are reported. The results of the main stage of separation of a three-component ion mixture in the POMS-E magnetic field are presented. A method to increase the number of ions passing through the POMS-E magnetic barrier is proposed. A conclusion is made on good promises of the idea of a plasma-optical mass separator. This work was supported in part by the Ministry of Science and Higher Education of the Russian Federation, grant no. 3.6034.2017/6.7.